1. 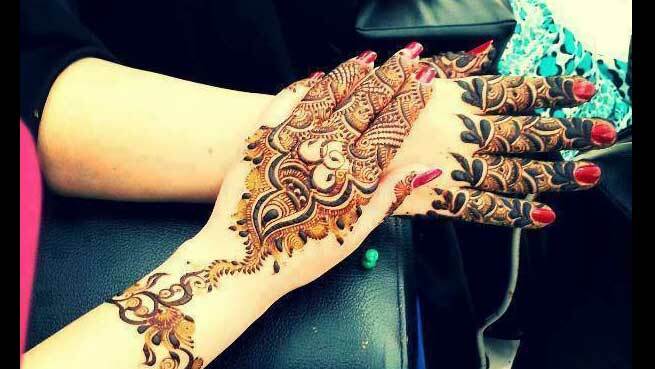 This glittery henna pattern is alluring. In multi hues it suffices the need of bangles and make your hand look stunning. 3. Crafted in shape of handcuffs, this striking mehendi design has all the charms of an attractive bangle. 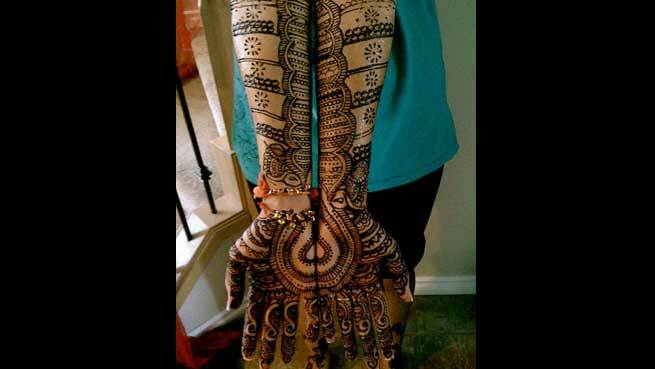 Revolving around your wrist, this glittery mehendi design looks awesome. 4. If you had always thought of wearing a full-length hand gear, this lovely design will fulfill your desire without adding extra weight on your forearm. Its paisley motifs are too lovely. 5. 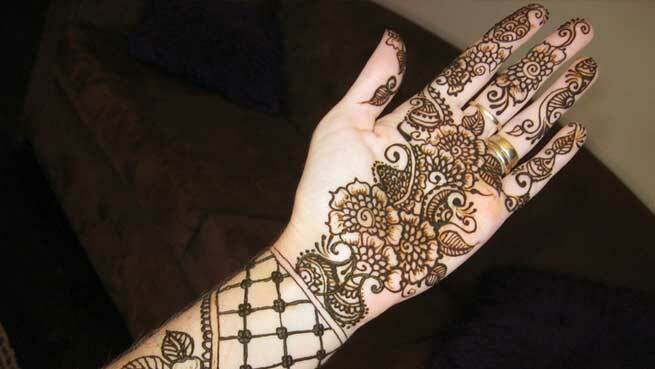 A striking floral pattern is artistically complemented with net style henna design. 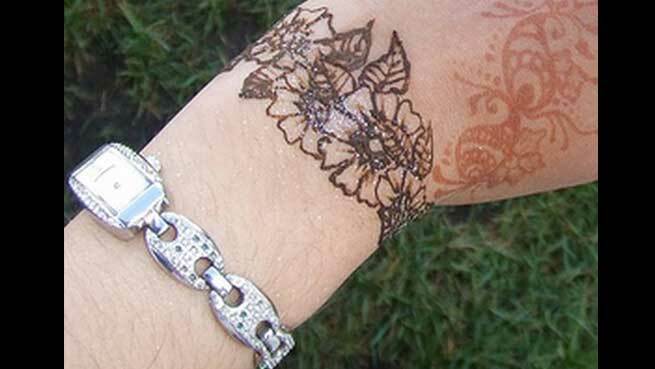 Go minimalist with bangles by getting this henna bangle. 6. If you don’t want to wear bangles just at the wrist joint, you can wear little above towards elbow. 7. 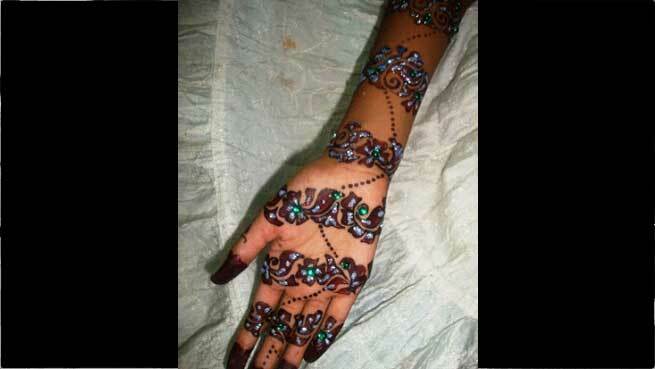 A henna design can be a great complementation for your hand accessory. If you like to wear watch in your hand, a floral bracelet design can make your hand more gorgeous. 8. 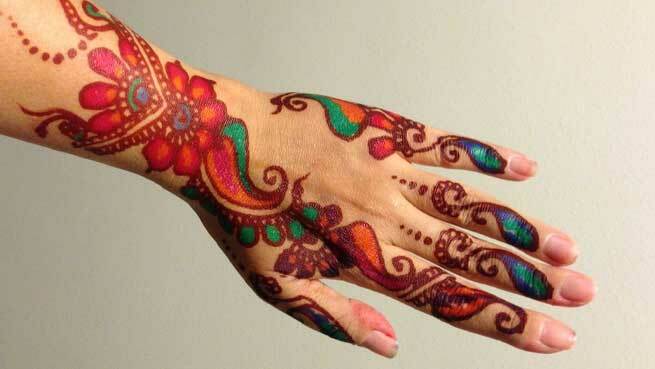 Gone are the days when henna patterns had only one shade – red. They are multi-colored now and need no assistance to boost their magnificence. 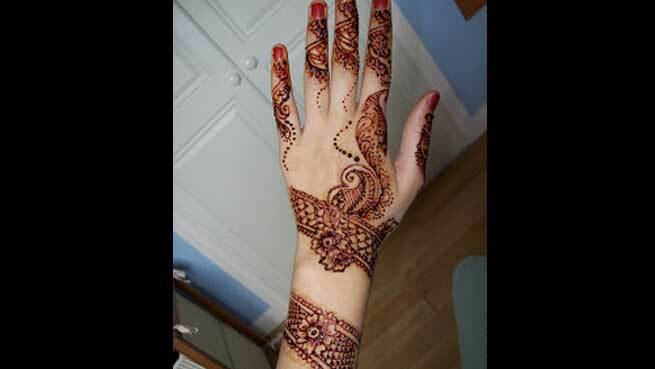 Check this henna pattern and decide whether you need to put any bangle on your wrist or not. 9. Bangles are not only round. They can be in unusual shape. If you are being hesitant of wearing unique style bangles, this henna bangle can be a choice for you. 10. 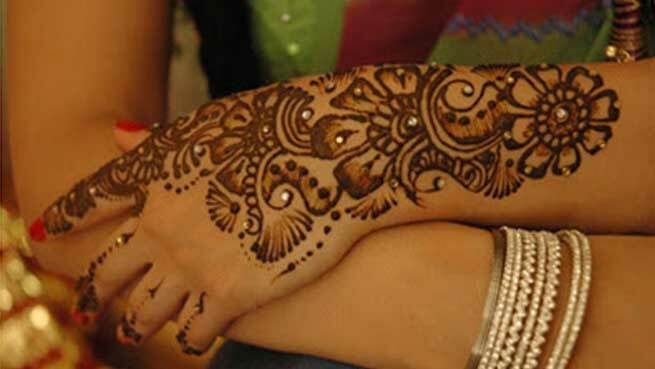 A full hand mehendi design can help you to avoid all the much-adored hand jewels. 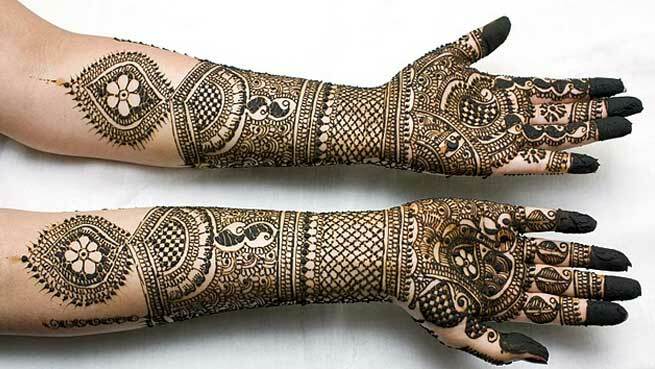 Go for this bangle style mehendi design to avoid bangles, rings and every other heavy hand accessory.